Canadian artist Marion Stehouwer has been running Something at Mary’s studio for more than a decade teaching pottery to thousands of students during that time. 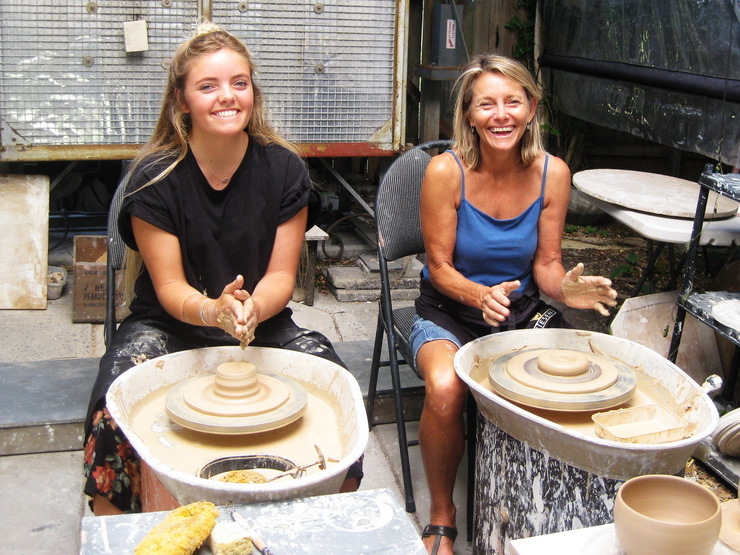 Marion’s studio is home to four wheels where she conducts small group and individual pottery classes. Larger groups are accommodated as well for team building and hens parties that engage and inspire. 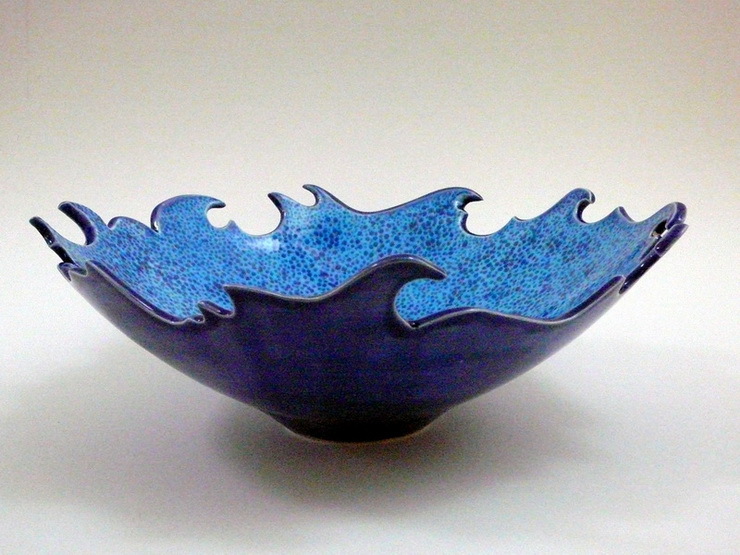 Having studied art therapy her philosophy on teaching pottery is that it should be fun and easy. This is reflected in her approach with students. You can expect humour and laughter at one of Marion’s classes. 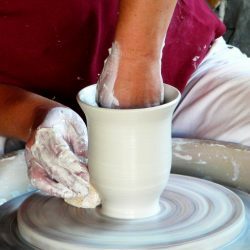 You can also expect a simple step by step approach to learning pottery skills. Marion has appeared on television teaching pottery several times. She’s appeared on Channel 7’s Sydney Weekender. The show features popular tourist attractions around the Sydney area. She was also was featured on Channel 9’s Mornings show hosted by Sonia Kruger and David Campbell. Marion has also consulted for Channel 9 and MTV on various pottery related TV and video productions. Marion draws inspiration from her stunning surroundings in Bundeena. Her artwork explores motion in nature including the movement of trees, waves and clouds. The play of light is reflected in her pieces through carving and glaze layering. 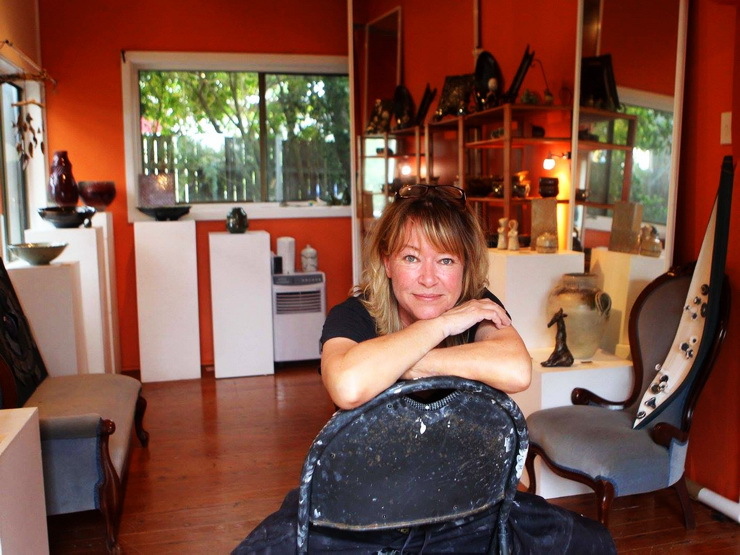 Marion’s is a member of the acclaimed Bundeena Maianbar Art Trail. The Art Trail hosts many well known artists including Archibald winner Jia Wei Shen. Her unique line of handmade cookware is highly sought after. 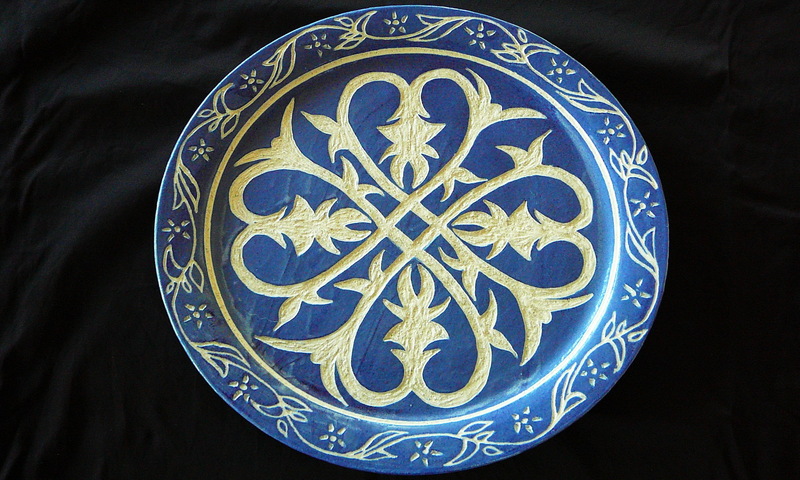 Each piece is hand painted or carved with the design rarely replicated. Marion’s tagines have travelled the world and are admired by celebrity chef Kurma . 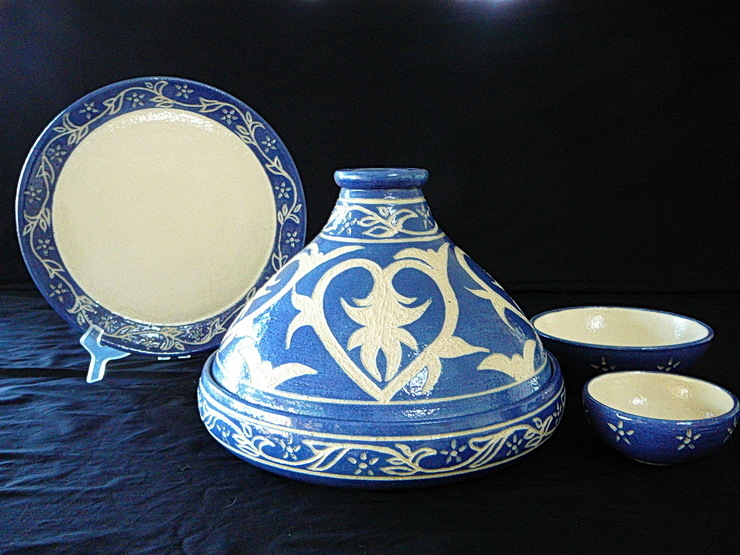 He noted: “Marion is a potter by trade and all of the bowls and gorgeous tagines in which we prepared and served dinner were made by her”.